We collect, wash and deliver your laundry and dry cleaning in 24 hours. Easily choose collection & delivery times at your convenience, including late evenings and weekends. Our drivers bring your items to our cleaning partners, where we take utmost care to ensure great results. Your clothes are back to you 24 hours later - all clean and ready for action. Really happy with this company - super convenient! Excellent service! The driver was on time and my clothes perfectly washed and ironed. I will use it again. Arrived and collected at time stated, also collected within times given. Excellent service, highly recommended. This has made my life so much easier! No carrying clothes to the cleaners! And no collecting either but you still get beautifully cleaned and pressed clothes. What's not to love. Washed and tumble dried. Priced based on weight. Cleaned and ironed. Priced per item. Larger items that require a different cleaning process. Priced per item. We are working hard to earn your trust. If you're not completely satisfied with the wash or dry cleaning, we will re-process your clothes for free! We pickup, wash, & deliver in less than 24 hours. We work with the environment in mind. No harsh chemicals. We work hard to make sure that the clothes you get back are spotless and ready for action. Enter your address and schedule a collection. Professional duvet cleaning service in Artane. Curtain Dry Cleaning Service With Free Collection & Delivery. Laundry service and dry cleaning with free pick-up and delivery within 24 hours. We come to your address, pickup your clothes and bring them to our facility. Less than 24 hours later we bring clean clothes ready for action back to you. It's simple, affordable and convenient. Some call it magic, we call it common sense. 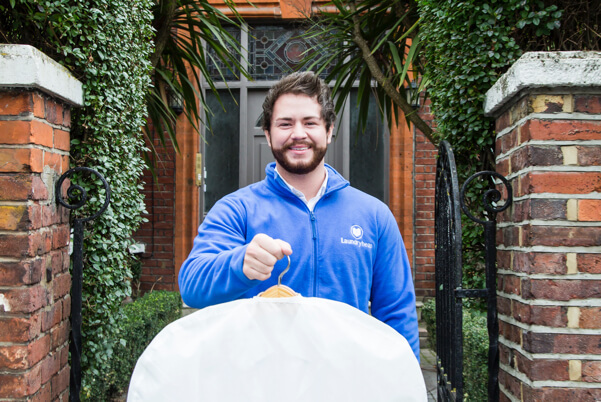 Laundryheap is next generation laundry service and dry cleaning with delivery Artane. It's easy, convenient, and affordable service that takes care of all your dirty clothes. It's available everywhere Artane - simply at the tap of a button. 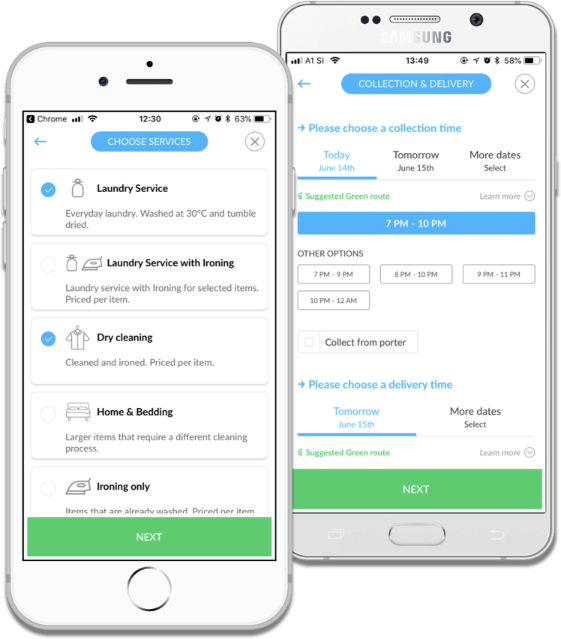 Laundryheap offers great serviced laundry and dry cleaning service on demand without the hassle of having to carry your dirty laundry around Artane. Let us do the work and get your clean clothes today! Enjoy clean laundry delivered to you within 24 hours. Our Laundry Drivers come to your address and pickup your laundry and bring it to one of our facilities. There we wash your clothes and fold them neatly into our bags. You get laundry delivered back to your home a day later. If you're looking for laundry service Artane or laundry pickup service, we're here to help. Our laundry Artane service fits perfectly to your fast-paced day.